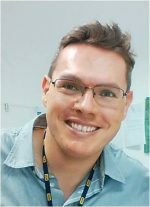 José Luís Santos, PhD, RN is currently an assistant professor of the Nursing Department and Nursing Graduate Program at the Federal University of Santa Catarina, in Florianópolis, Brazil. In his current position, he has the opportunity to teach and conduct research in nursing administration, with a focus on Policies, Management and Assessment of Care in Health and Nursing. 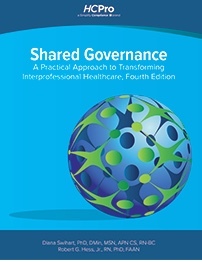 In this field, Dr. Santos is particularly interested in studies related to shared governance. In 2015, he was responsible for the transcultural adaptation of the Index of Professional Nursing Governance (IPNG) to Brazilian Portuguese. Dr. Santos received his bachelors of science in nursing from Federal University of Santa Maria, his masters of science in nursing from Federal University of Porto Alegre, and his PhD from Federal University of Santa Catarina. During his doctoral studies, he was a visiting scholar at Kent State University College of Nursing, Kent, Ohio. His dissertation was a mixed method research with the aims to analyze the environment of professional practice nurses, organizational characteristics, and variables associated with nursing governance in the hospital environment, and to build an interpretive model from the meanings attributed by nurses to the relations and governance process of nursing practice. 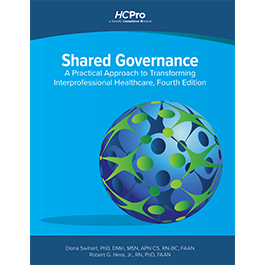 This study was important to start the discussions on nursing shared governance in the hospital environment in Brazil.